All of us have our own dream race. In my case, I love enjoying culture while running. For that reason, my favorite race is the Angkor Wat Half Marathon. Perfect path around the temples in Cambodia. In early November, you can run the Athens Classic Marathon. I really laughed when writer Murakami had a lecture in Athens and his only thoughts were about running the original marathon (What I Talk About When I Talk About Running). Another very different race is held in Wales. Race The Train (link here) has many different courses (up to 14 miles). You can imagine the purpose of the race... Sometimes life needs a spark and with the excuse of a run, we can break our routine. 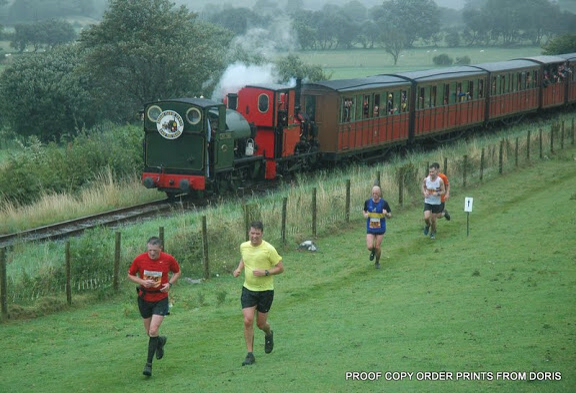 What could be better than beating a train while your legs get covered by mud? To finish, tomorrow, Las Vegas. Strip up and down. The after run can be fun... Well not so sure.